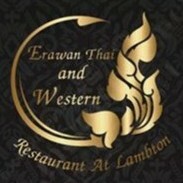 Erawan Thai and Western Restaurant joined our Mission to help provide access to “Clean Water for All by 2030”. This Mission was initiated by the United Nations. A big thank you to Erawan Thai and Western Restaurant’s team and customers for joining this extremely important mission on 20 October 2018. Our Restaurant is located at 85 Elder street Lambton 2299 Newcastle, take about 5 minutes from centre of Newcastle city, and located next to Lambton Park, in Northumberland hotel. come and have watering authentic and western food with special prepared from our incredibly talent chefs.